This entry was posted in Fraud and tagged fraud, fraudulent calls, identity fraud, Identity theft, OIG, Scam by Andrew Cannarsa, OIG Communications Director. Bookmark the permalink. If you have a trusted friend or relative, consider having them file to be your representative payee. That should put your concerns to rest. OMGosh, I have felt that way too on my most recent interactions with SSA. When you wait over TWO hours to actually talk to a HUMAN they act degrading. I feel for you. If you can or have the means, go to your local SSA office or call to schedule an appointment. Best of luck. To the SSA: no one wants to EVER WASTE two hours of their life waiting to talk to your disrespectful employers. Maybe they should receive some type of reprimand or be fired. I mean, you do record the call, right? Let me address this. Voters have been convinced government is too big and that has been reflected directly in the budget. Somehow, many in the public believe less government is for someone else, and it won’t happen to me. SSA’s budget has been cut over 11% from 2011 to 2017, as the need for SSA continues to grow. Offices have been closed, many offices are operating with less than 50% of the staff they had 25 years ago. Overtime is cut. All workers have spent a lifetime paying for this program which costs only 1.5% of less of the entire cost of the program. No CEO’s, no investor class, no corporate jets or golden parachutes. Yet Congress responds to donors who want to reduce their taxes by cutting government and making the public less dependent on programs donors oppose. If you vote for that, then one would hope you would not complain. However, democracy requires citizens to be informed and pay attention to what their elected reps do. If you are not paying attention to your government, this is the price you will continue to pay. Hi, Mohiedin. We are sorry for the inconvenience. At this time you must have a U. S. mailing address to create or to access your online account. The “my Social Security” authentication system requires address verification as one of the essential criteria for issuing an account. People with APO/FPO/DPO addresses can create an account overseas, but our system does not support registration and account creation for users with a foreign address yet. Please contact your local Federal Benefits Unit for assistance. Also our Office of Earnings & International Operations web page provides more information to assist our customers living abroad. We hope this helps. I am exhausted from cyberstalkers since 2014 and I am a Federal survivor of law offices stalkers and hackers . I am a semi retired california Paralegal certified under business and professional code 6450-6456. Federal Bar Association training third party relative. Hi, Linda. We are sorry to hear that. We do not usually make random calls. If anyone receives calls saying that they are from Social Security, do not give out any personal information. Suspicious calls should be reported to the Office of the Inspector General at 1-800-269-0271 or online. You can also report these scams to the Federal Trade Commission through a new site specific to Social Security scams, here. You can find additional information here. We hope this helps. THANKS FOR THE NOTICE.. I WILL KEEP YOU iN MIND. I get about fifty to seventy five of those calls everyday they have everything to the T about me. SSA and all. They want me to get knee and back braces plus other things. I called Medicare about this and they said it was true they are allowed to call and I told them to take my name and phone number off their list and Medicare said it would take a month . Well it has been three month and I am still getting the calls. Short of ripping my phone lines out of the wall what else can I do? Use *77 I did and I had One week of no telemarketers! Hi, Virginia. Thanks for checking in with us. We do not usually make random calls. If anyone receives calls saying that they are from Social Security, do not give out any personal information. Suspicious calls should be reported to the Office of the Inspector General at 1-800-269-0271 or online. You can also report these scams to the Federal Trade Commission through a new site specific to Social Security scams, here. You can find additional information here. We hope this helps. Thanks for the alerts. These alerts should also be on local news channels for the population that does not have access to computers or the elderly that do not know how to use a computer. They are the most vulnerable. I can understand the frustration of a mentally disabled person – my daughter regularly gets in trouble with her SS benefits – forms are sent which she cannot understand or understand their importance. She misses deadlines for compliance and benefits are halted. She does not trust the family and has a “friend” handling her affairs – both SS related and money related. When it’s a fact that it is a true mental disability that should alert SS that this person is probably not capable of handling their affairs. The fakers are on their toes – they don’t want benefits to stop. Having a hotline where you can go to report these schemes is a great idea. I got one of these calls! Spoofing aka fraud is a National problem. Why has the government not required the phone companies to use the sience the have to FUX this problem? I just took so much time to formulate a response that NEVER POSTED. called twice from 888-810-5134..person said my SS# was being suspended and I needed to call this number. I did not call them. How do I know this e-mail is not a scam ??? I have been getting 4 or 5 calls a day about back braces. I’ve never actually talked to them because when I see a phone number on Caller ID that I don’t recognize I don’t answer the phone. They leave messages that time is running out to get a back brace because Medicare won’t pay. I have no need for a brace! I had surgery early last year for a broken wrist. I got so many of these calls from so many different numbers asking if my pain medication was working and if not they could get me additional medication. I told them I diid NOT need any pain pills and to quit calling me – but the calls didn’t stop until I told them I was going to report them to the law. Those calls were all day, all the time from different locations all over the U.S. When they called I blocked their # but they would use a different number every time. My wuestion is HOW did they know I had surgery and had been prescribed pain pills! I didn’t take but a couple pills the first day and then if I needed a little help for pain, Tylenol worked. SOMETHING NEEDS TO BE DONE! Something needs to be done because the elderly on fixed incomes are getting the brunt of most of these scams. My parents don’t answer they’re phones anymore. How about my friends at the IRS, calling me daily on an urgent matter from Bangladesh. When will congress make Caller-ID spoofing a felony? Use toothpaste to aid your acne. This can be a very efficient home cure for drying up acne. Simply dab a compact volume about the pimple, massage it in delicately, by leaving right away. Upon waking up, scrub your facial skin, and use a very little oil-free lotion towards the place. You may absolutely recognize a difference. Two alerts when using toothpaste: just use the paste, not gel, and do not apply tooth paste to cracked pores and skin. If you wish to reduce costs on your wedding day, think of which things can offer a twin position in your celebration. By way of example, purchase normal water containers for your company and include a individualized label directly to them. Not only can they be passed out as wedding party favors, they also give refreshment during the wedding reception. One of several easiest stuff you can do in order to get brighter teeth is as simple as browsing you dentist frequently. By way of dental care washing, plaque and spots are removed. Another benefit of seeing the dental practitioner is that you will be in a position to go over the most recent teeth whitening alternatives that would job most effective for you. Thanks for letting us know. Suspicious calls should be reported to the Office of the Inspector General at 1-800-269-0271 or online. You can also report these scams to the Federal Trade Commission through a new site specific to Social Security scams here. We hope this helps. This warning & explanation should be posted in multiple languages & should be the subject of posters on subways & buses, PSA’s on radio & TV, etc. This is a widespread continuing problem affecting many vulnerable people including elders & disabled people, OIG has been aware of it for some time yet it continues, so much more needs to be done. I hope OIG is working with FCC & FTC & other relevant agencies to put a stop to this. Hi. We do not usually make random calls. If anyone receives calls saying that they are from Social Security, do not give out any personal information. Suspicious calls should be reported to the Office of the Inspector General at 1-800-269-0271 or online. You can also report these scams to the Federal Trade Commission through a new site specific to Social Security scams here. We hope this helps. Mr Takaphan jaruhungsin agency.gov llc public affairs federal contract membership of federal retirement plan.gov receive your report! and do not know about your number call fraud in your show in ssa program send to me for online order chang n my new citizen ssn card! I got 2 calls this week. Both were 800,888 area code. I already knew that they were scam by the message they left, so i didnt respond. 772-7562 was the 800 #. Received call yesterday, saying ss# was being suspended due to suspicious activity. I know this is not true, I was warned by cousin in Georgia several weeks ago. I called # back and it is not a working #.512-251-2809. Thank you! 6723 Birchwood Ct N. Keizer Or. 97303 1-503-551-9738. Can you tell me what all was happening with my Account. 4/5/2019. Thank You. Hi Carolyn: Thank you for checking in with us. As the blog post indicates, there are some Social Security impersonation schemes that we are warning citizens about. If you have questions about any communication — email, letter, text or phone call — that claims to be from SSA, please contact your local Social Security office, or call Social Security’s toll-free customer service number at 1-800-772-1213, 7 a.m. to 7 p.m., Monday through Friday, to verify its legitimacy (TTY number at 1-800-325-0778). You may also report the information to the OIG at 1-800-269-0271 or online via https://oig.ssa.gov/report. I got a call and it said my social security number was hacked. Our justice system needs to get after these people who commit this fraud. I say increase finesto 2000 to 25000 jjail time !!! You’ve pretty much outlined how the scammer should handle the phone call… be polite, don’t fake the SSA , OIG phone # or Fraud hotline #, patiently remind them that SSA employees do occasionally call citizens, then ask for them to verify their identity, make a payment, etc. A smooth talker could pull this off. How are we suppose to recognized a legitimate email from the Social Security Administration, or the OIG? Hi, Alfredo. Thanks for checking in with us. We do not usually make random calls. If anyone receives calls saying that they are from Social Security, do not give out any personal information. Suspicious calls should be reported to the Office of the Inspector General at 1-800-269-0271 or online. You can also report these scams to the Federal Trade Commission through a new site specific to Social Security scams, here. You can find additional information here. We hope this helps. I keep getting calls from (253.271.4633) stating that my Soc. Sec. will be put on a freeze if I don’t reply in 24hrs.. Please call this number (253.271.4633) and see if you are able to trace the caller. I am a retired police officer and I can have my department do it. Please let me know something. Thanks so much. Hi, Ferman. Thanks for checking in with us. We do not usually make random calls. If anyone receives calls saying that they are from Social Security, do not give out any personal information. Suspicious calls should be reported to the Office of the Inspector General at 1-800-269-0271 or online. You can also report these scams to the Federal Trade Commission through a new site specific to Social Security scams, here. You can find additional information here. We hope this helps. Got a call from 1-605-655-2731 saying there had been sever things happening with my social security card. I know it is a scam and did not call it back, but just wanted to give you this phone number in case it is a new one. I do receive calls from time to time. Thanks for letting us know, Dolores. Suspicious calls should be reported to the Office of the Inspector General at 1-800-269-0271 or online. You can also report these scams to the Federal Trade Commission through a new site specific to Social Security scams, here. You can find additional information here. Thanks, again. 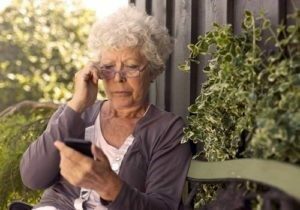 I received a phone call that if I didn’t call the number that was provided for me, my social security would end today.what do I do? Please help me!!!! I think I also was a close victim to a scam with someone who claimed to be representing Social Security. They called me and said that they were from Medicare/Social Security and were authorized to grant me treatment for my lower back pain. Then they asked me if I spelled my first name Sherry. I told them that if they were genuinely from Social Security/Medicare, they would already know how to spell my name, and hung up. They didn’t call back. The phone number they called from was 8773258032. This happened on April 1, 2019 at 5:21 p.m. Received 6 calls yesterday from someone indication a problem with our SS account. Each time was a different number on the caller ID. This has happened on multiple occasions. Anything we can do???? I’ve received three calls within the past few days. The first said my SS# was frozen and I must call the # given to correct any problem. Two more came today but they both said my SS# was compromised. The worse part is that I tried to report this to the SS hotline, I went from one automated line to another two more times. I was finally given the email I could send the info to. I received a call from (760) 369-8121 claiming that my Social Security number had “been suspended” due to a “crime.” The call was less than 30 minutes ago. I reported it to OIG, using the online form linked from some of your earlier replies, as soon as I found that link. Thank you for making this information easily accessible. I received a call today that my Social Security number was frozen as it had been compromised. The phone number the call came from was 484-971-4666. Hi Karen. Thank you for letting us know about these calls. Suspicious calls should be reported to the Office of the Inspector General at 1-800-269-0271 or online. You can also report these scams to the Federal Trade Commission through a new site specific to Social Security scams here. Hi Karen, thank you for letting us know. Suspicious calls should be reported to the Office of the Inspector General at 1-800-269-0271 or online. You can also report these scams to the Federal Trade Commission through a new site specific to Social Security scams here. I HAVE RECEIVED CALLS RECENTLY ON MY CELL PHONE THAT MY SOC. NUMBER IS BEING COMPROMISD. IS THIS A SCAM ? Hi James, thank you for letting us know about the calls. Unfortunately there are some Social Security impersonation schemes that we are warning citizens about. Suspicious calls should be reported to the Office of the Inspector General at 1-800-269-0271 or online. You can also report these scams to the Federal Trade Commission through a new site specific to Social Security scams here. I received a voicemail from 1-281-731-4470 (Houston) purporting to be from the SSA and informing me that my SS number has been suspended because of “suspicious activity” and that, if I want to know about this case, I should press one. I did not press one and suspect this call is fraudulent. I received the call at 12:38 pm CDT on April 19, 2019. Hi Claris. Thank you for letting us know about the call. Suspicious calls should be reported to the Office of the Inspector General at 1-800-269-0271 or online. You can also report these scams to the Federal Trade Commission through a new site specific to Social Security scams here.